After whale watching in the morning and birding with Mark (still more to come on that later) we headed to the main attraction in Juneau, Mendenhall Glacier. 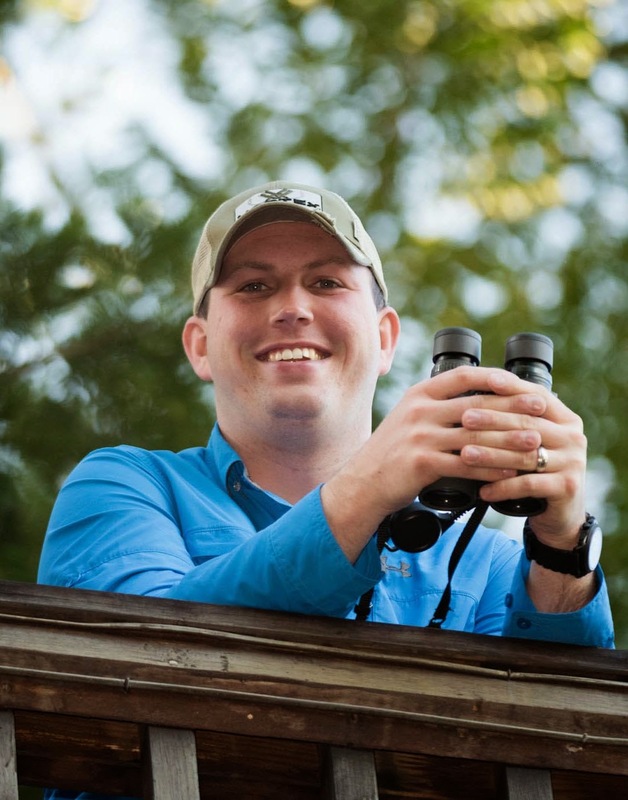 As I started to walk around, I heard people talking about seeing a bear and headed that way. By the time I had made it to where the bear had been seen, it had gotten back into the brush and was barely visable. 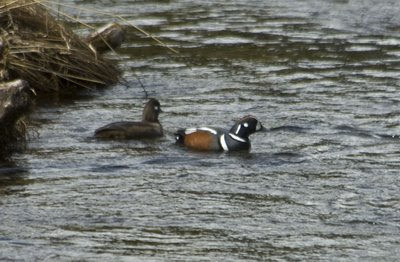 Fortunately as I scanned the lake, I found a pair of Harlequin Ducks close by. It was the first time that I had ever seen a male, and I was amazed by the unique and colorful patterns of feathers covering its body. A pair of Harlequin Ducks. As I waited for the rest of my group to get to the glacier, Mark spotted a Mountain Goat way up on the mountain and got his scope on it. Even though it was far away, it was interesting to watch as it carefully made its way across the treacherous terrain without even slipping once. Luckily the rest of my group got there in time to see the Mountain Goat as well. 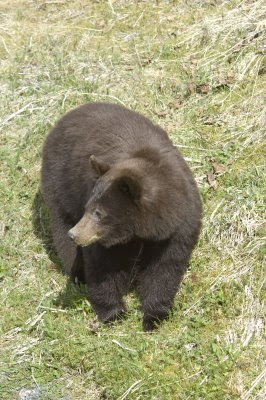 The bear also reappeared as they arrived and was actually much closer this time. 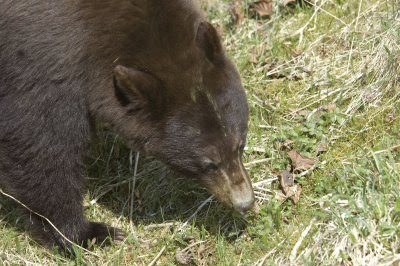 As the Black Bear slowly moved along while feeding we were able to approach rather closely and get great photos. 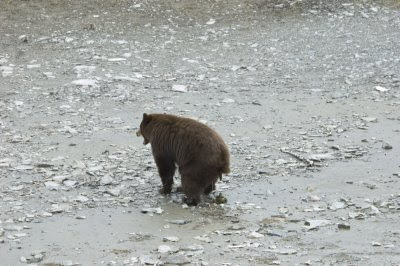 The bear seemed to not even notice that there were people around and just went about foraging. Black Bear taking in its surroundings. Not sure whether he is releaved or in pain. I'll let you decide! 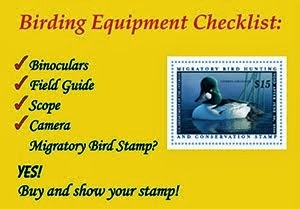 Farther down the trail, we came to an Arctic Tern nesting colony. I had only first seen this species early on the whale watching trip but the colony allowed me to really study these birds. They are so graceful and entertaining to watch. 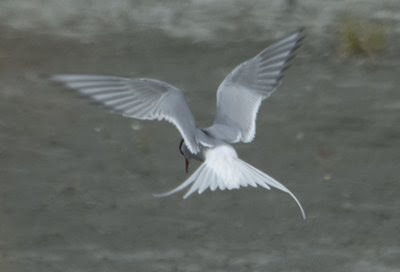 Arctic Tern hovering and looking for food. 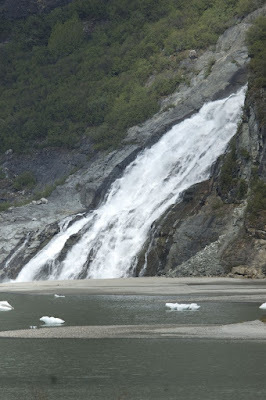 Next, we followed the beach path to the waterfall near the face of the glacier. I knew from a distance that it was a very tall waterfall but I did not understand the true power and size of the falls until I was right up next to it. 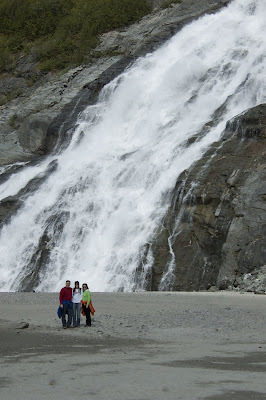 The amount of water flowing down the falls was incredible and the mist from the falls spread out over a large area. At the bottom of the falls, we found an American Dipper looking for food. Waterfall with people for size comparison. 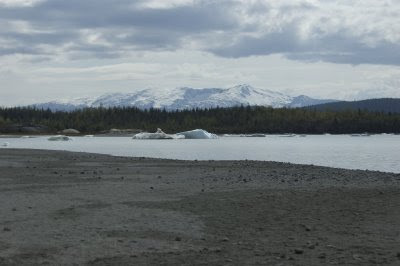 As we started back, I noticed two shorebirds on the shore of Mendenhall Lake. 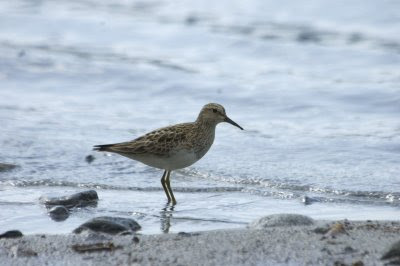 There was one Semipalmated Plover and one Pectoral Sandpiper. They were very tolerant of people and I was able to crawl up rather closely to the Pectoral and get several pictures. As we got back to the parking lot to wait for the bus to pick us up, I noticed some movement in the trees and decided to explore while the others waited. 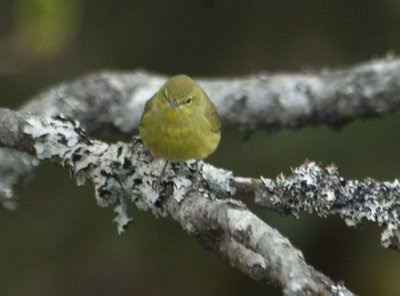 The movement turned out to be a Wilson’s and an Orange-crowned Warbler. They helped me pass the time until the bus arrived to take us all back to the ship. 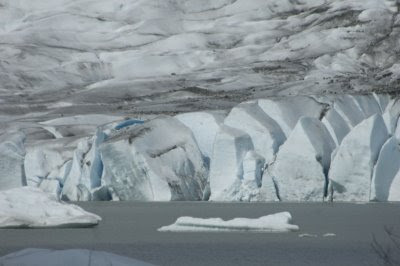 View looking away from the glacier. Look for my next post about my time in Sitka and the Alaska Raptor Center. Have a great weekend!